Bad Reichenhaller iodized alpine salt is made from pure alpine brine and makes a valuable contribution to the human body's iodine supply. Original in the yellow packaging with the white diamond shape and the red banderole. The unmistakable yellow package with the white diamond shape and the red banderole has been a main staple in almost every German kitchen for generations. 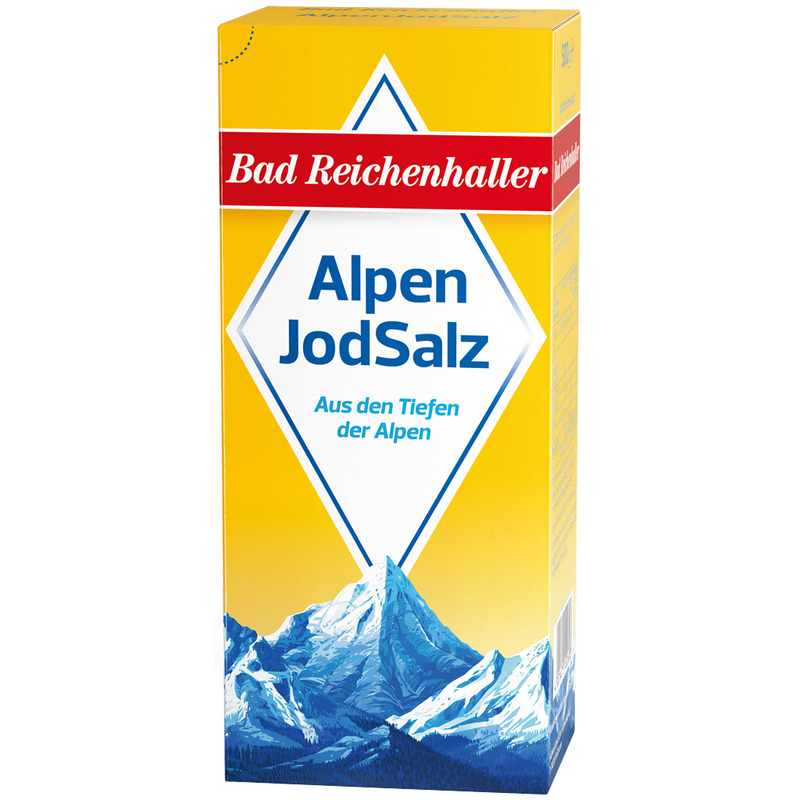 Bad Reichenhaller iodized alpine salt is made from pure alpine brine and makes a valuable contribution to the human body’s iodine supply. This important trace element is an indispensable component of the thyroid hormones and can not be formed by the body itself. The contents of each package are the true wealth of the Alps. 500g / 17.6 oz NET. WT.